According to various reports, e-commerce sites are making more money than brick and mortar stores. Why is that so? Why is it that we see so many sites selling t-shirts, pickles, and other kinds of stuff? The most obvious reason is that these owners use precise marketing techniques to sell their products. One platform that lets e-commerce owners sell their products with desirable results is Facebook. This article will help you to understand the tactics and strategies to use on Facebook in order to sell more. This marketing platform can be used in two ways- Organic and Paid Marketing. Most first timers use organic marketing to sell their products on Facebook. This means that they use a lot of user-generated content to target their audience. Doing this is very easy. If you have a normal Facebook account, you can go to the ‘Create Page’ tab, click it, enter the required details, and you are good to go. 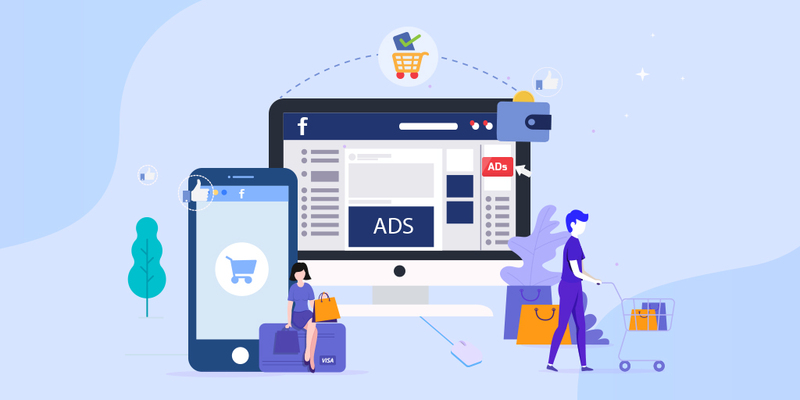 Recently, Facebook has added some new features that make it easier for you to connect with your buyer. Facebook for E-commerce becomes easier when you are a part of a group. Unlike Facebook pages, Groups are much more interactive. Normally, people in a group are like-minded so the chances of your product being noticed and bought are higher here. If you have a product website, just put that link in your group. Interested people will click that link and later buy your product. If you are a part of an e-commerce page (or like it), then depending upon your level of interaction, Facebook will show you a few other pages that are similar to yours. For example, if you run a page selling T-shirts, then this platform will encourage you to join pages related to clothing, textiles etc. You can promote your products in these new pages. In the above-quoted examples, you don’t have to pay any money; those tools are absolutely free. But there are millions of pages and groups on Facebook and it is difficult to make your voice heard. Facebook Paid Marketing comes to your rescue here. How can you use Facebook for E-commerce profitably? First and foremost; you need to create a verified Facebook ad account. For this, you need to share your credit/ debit card details with the platform. Don’t worry, Facebook won’t charge you without asking you. Define your intended audience. Is it male or female? What age is your typical buyer? Where does he/she live? What products does your buyer like to associate with? These questions are thrown to you by Facebook while you are sizing up your audience. Depending upon who you want to sell and where Facebook will suggest a budget. Choose your keywords and other variables. Is it an offer that you are going to introduce or is it a launch? Once you are ready with your ad, launch it. You can use Facebook for E-commerce provided you are clear about your marketing objectives. This platform is simple to use and gives great results.